Ships FREE in 3 to 5 Business Days. 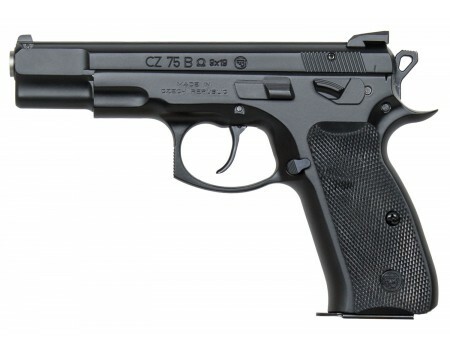 A further evolution of the 75 B , the Convertible version allows users to swap from decocker to safety operation in the same manner as the popular P-07/P-09 pistols. This pistol has a simplified, robust variation trigger system as the previous Omega. The trigger parts use an interlocking design that allows for easy disassembly and reassembly without the need for tools. This product may be restricted for sale in California, Colorado, Connecticut, Hawaii, Massachusetts, Maryland, New Jersey, and New York. Please contact your FFL or call us at 800-217-2998 before purchasing to verify product restrictions.